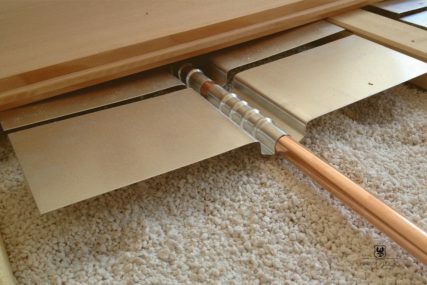 Similar to wooden parquet, our solid floorboards require a a thorough preparation of the rooms where they are installed in. 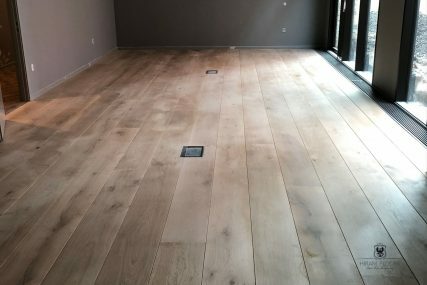 Our grand format planks can be installed on many types of surfaces, including underfloorheatings. Your most common questions will be answered in our FAQ section. Our installation guidelines are available as PDFs for download. 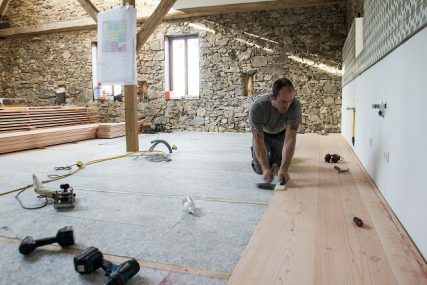 A safe handling of the boards ensures a long lasting floor. Are you looking for an installer or more information about the technical issues?